We provide residential and commercial carpet cleaning services to the Perth area. Our steam cleaning of carpets is popular very popular with customers in Perth. Phone or email us anytime for a free cleaning quote that matches your requirements. We service areas such as Perth, Fremantle, Joondalup, Midland, Rockingham and Mandurah in WA. Perth Home Cleaners have professional steam cleaning equipment that can handle any domestic or commercial carpet cleaning task. We will attempt to steam clean your carpets to the best of our ability. Carpet cleaning in Perth can be combined with your end of lease cleaning to make things easier for you. You can arrange both your end of lease and carpet cleaning at the same time and we will schedule the end of lease cleaning first, and then the carpet cleaning can be completed when all the general cleaning is completed. We provide a professional receipt on completion. We understand that it is essential to clean your carpet professionally for rental or bond cleaning. This due to the fact that it is a fundamental requirement for all real estate agents and homeowners. Hence, it is important to plan ahead and book in your carpet cleaning on top of the exit clean early to avoid disappointment. Cleaning your carpet is relatively inexpensive for a few rooms and when there are a number of rooms with carpet we quote accordingly. 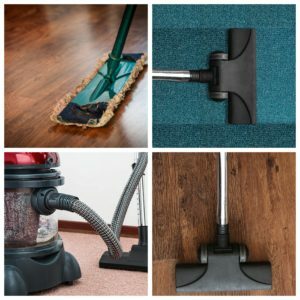 People enjoy their home being completely cleaned including the carpets as it is the perfect way to get an overall clean home. Carpet cleaning can be included if you book a spring clean or exit clean in Perth. 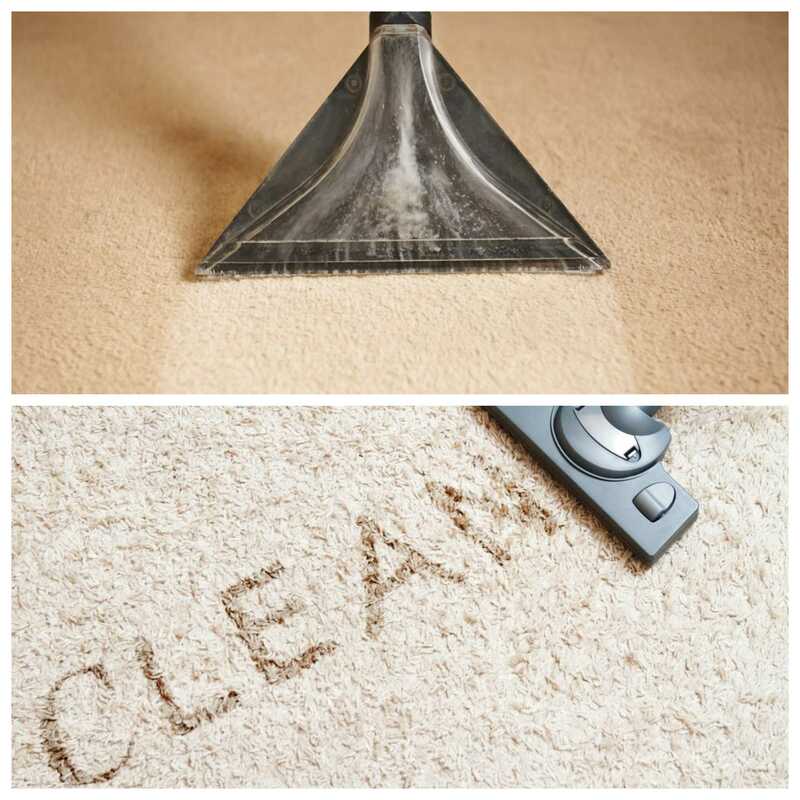 We will try and reduce any stains on your carpet and should generally bring the carpet back to its original colour. White carpet is obviously the worst for hiding stains and wear and tear, cream coloured carpet can be difficult to restore, but with our professional cleaning equipment and cleaning agents, we should be able to make a difference in the condition and presentation of your carpet. When we are conducting a vacate clean or exit clean that is the perfect time to consider if you want your carpets professionally steam cleaned. We always combine our carpet cleaning services with a builders clean after renovations or construction. This is because carpet will collect building dust and other material like gype rock mess. When carrying out a builders clean we can vacuum the carpet and see if carpet would benefit from a steam clean. Often our customers know already whether or not to steam clean the carpets. This is whether due to a requirement from their customer or they can tell from its present condition that only professional carpet cleaning will restore the carpet to a satisfactory condition. We encourage our customers to discuss with us about the cleaning requirements with our knowledgeable customer representatives. A rug is one of the things that add beauty to a room. And we cannot overlook the fact that it can easily get dirty. Food particles can easily drop on it so also dust, grease and coffee. To preserve your investment you need to know to clean rug the right way. To maintain a rug, at least once a month flip it upside down and vacuum the back of the rug. Vacuuming the back with the beater bar/rotating brush helps push dirt trapped deep down toward the top of the rug. Flip it right side up and vacuum the dirt. Use only suction on the front of wool rugs, for synthetic rugs you can use the beater bar/rotating brush on the front and back. Do not vacuum fringe or tassels. They are delicate material, and easily tangled in the vacuum’s beater bar or ripped by the suction. Fluffing them by hand is all they need. Anything else can cause damage to them. Firstly, vacuum rug thoroughly to remove any loose dirt. Use dilute white vinegar to restore the rug color. Dilute the vinegar, 1 part to 3 parts water, and blot slowly and in the direction of the carpet pile with a sponge. Merely damp the carpet without soaking it. Allow it to air dry without exposing to the sun. To remove any insect infestation from the rug borax is the most effective because it naturally coats and degrades the exoskeletons of insects and destroys larvae and eggs. Sprinkle on the rug, wait approximately 20 minutes, and vacuum. Make sure there are no pets near the rug that could potentially inhale the borax, which is a mildly toxic irritant. When cleaning the rug with a chemical, first do a spot test so as to avoid discoloration. Follow the mixing instructions on a store-bought rug cleaner/shampoo, or add a couple of capfuls of mild dish detergent to a bucket of warm water. Stop using hot water, as it may shrink fibers or fade color. Use a sponge or brush, to work a lather of shampoo or detergent deep into the rug. Allow the solution to stay on the rug for several minutes before rinsing. Once the solution has stayed, thoroughly rinse the rug with a garden hose, ensuring the water is clear of soap suds. Ensure you remove excess water. Squeeze as much water out of the rug as you can with your squeegee, being careful to work only in the direction of the rug’s nap. After squeezing out water, lay the rug flat to dry. Once the top side is dry, flip it over to dry the bottom part. A vacuum/ soft-bristled brush can loosen up the rug fibers, as they may compact during washing and drying processes. As soon as you notice stains or spots on your rug, try as much as possible to clean it up. When cleaning a rug do not use carpet shampoos because are usually made for synthetic wall to wall carpet. Blot the spillage and remove any solid debris by scraping. To blot the spillage, use a clean white 100% cotton dry towel. Press down very hard from the outside towards the middle. Repeat this, turning the folded towel over and over until you have absorbed as much moisture as possible. When you blot the spot move the towel in straight lines. Do not rub in a circle, as this can damage the fibers and construction of the rug. Stain treatment and removal is highly dependent on the kind of spillage or stain. More complicated or serious stains require some chemical intervention, normally in the form of a mild acid to remove the dyes staining the rug, a light detergent to remove any debris and disinfect, and ammonia in non-wool rugs to the same effect. Do not use hot water on spills that are of perishable items instead, blot with a sponge, and treat with three parts acid, one part mild detergent, and one part water. If the rug is not wool, add a part of ammonia for disinfecting and cleaning. A fan should be used to dry a washed rug. The area should be exposed to the air stream to aid in evaporating moisture. Do not allow the rug to dry in the open sun, as photo-bleaching can ruin the colors in the rug and cause degradation of fibers. Do not allow the rug to dry on the floor, and major water damage, again, is cause for seeking professional help. 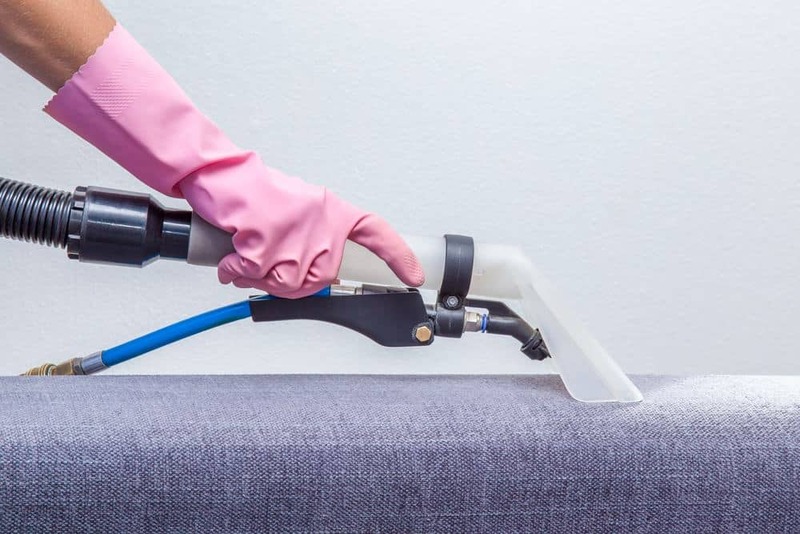 As well as domestic carpet cleans we also offer commercial upholstery cleaning services. We can provide full quotes and estimates on request for any size office in Perth and surrounding areas. Commercial offices usually have commercial grade carpet designed for heavy use. Without regular maintenance over time the carpets can degrade and change colour. This is because staff members constantly bring in the dirt inadvertently. We recommend cleaning office carpets at least twice a year by a professional company like us. Cleaning carpet professionally is also available at industrial sites in Perth, Fremantle, Joondalup, Midland, Rockingham and Mandurah WA. 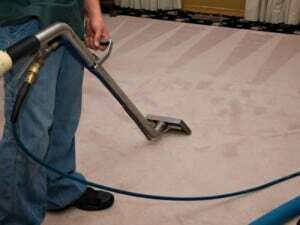 Besides, industrial sites usually require the most intensive carpet cleaning of all our services. Carpet at industrial sites are more often a shade of black or grey as people accidentally spill some serious dirt and grease on the carpet each day. We are able to assist you with the task of cleaning all types of carpets. Phone or email Perth Home Cleaners to enquire about a quote. We can help with your carpet cleaning in Perth.